On 10 December 1948, the United Nations came together and put forward 30 articles to safeguard the basic human rights of every person on planet Earth. This came shortly after the terrible atrocities committed by Adolf Hitler and his Nazi followers, ensuring that everyone has a basic human right to freedom, health and education among others. The darkest hour in human history is what it took for basic human rights to be solidified. 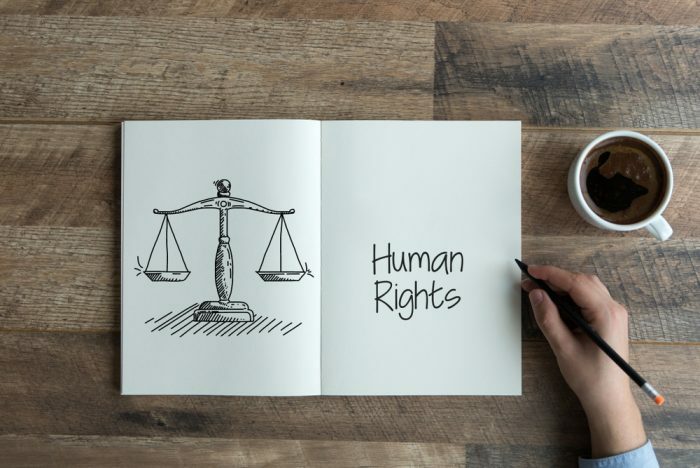 However, there are still many cases in the present day where thousands, even millions, are living without those basic human rights that were guaranteed 70 years ago by the United Nations General Assembly, known as the Universal Declaration of Human Rights. In areas of great conflict, innocent people live in fear every day without a guarantee of seeing the next day. In December, the first thought of everyone’s mind is Christmas. Festivities and presents quite literally take over and, while there is nothing wrong with being caught up in the Christmas spirit, we would do well to remember that this is the season for giving. Giving not just to those that we hold most dear, but to anyone that so needs it. No one needs help more so than those travelling on foot for miles every day in search of clean water for life, a journey that is often undertaken by the most vulnerable because there is no one else to look after them. While we will be fighting over the extra slice of turkey and pudding, there will be children starving on the streets without having opened a single present. That is the cold hard reality of living in poverty. There would be no better way to mark Human Rights Month than to make a little extra room in the Christmas budget to give to those who need a helping hand. Whether it is just the odd few pounds or a sizeable donation that could provide care for many, it all adds up. As well as generously giving out of our own pockets, we can add to any donation by spreading the word and raising awareness of issues that quite simply should not still exist in the 21st century. Donations and charity work are one thing, but highlighting the issue will help to win the battle against poverty, helping to ensure that everyone can benefit from basic human rights. Whether you take to social media to share links to your preferred charities, hold your own fundraising event or just simply tell a friend or two about the cause, it all helps in spreading the word. Problems in third world countries tend not to make mainstream news, possibly because it is just a way of life for many and that is the saddest aspect of all. As humans, we shouldn’t just be willing to accept that some countries have it harder than others, we should be doing all that we can to help those suffering. You never know when we, ourselves, may be reaching out for a helping hand. No doubt you have found yourself at one time or another feeling as though life isn’t fair because something didn’t go your way. In times like this, the best thing is to remember everything that you do have and be thankful that you have been provided with an education, medical care, somewhere to stay and clean food and water. Sometimes we can all lose sight of what we already have through taking them for granted. If we take a moment to remember that basic human rights we enjoy every day are luxuries only afforded to the few in many parts of the world, we can learn to be thankful for everything that we do enjoy.